Dining at Zoëtry Paraiso de la Bonita Riviera Maya is an experience sure to delight all your senses. 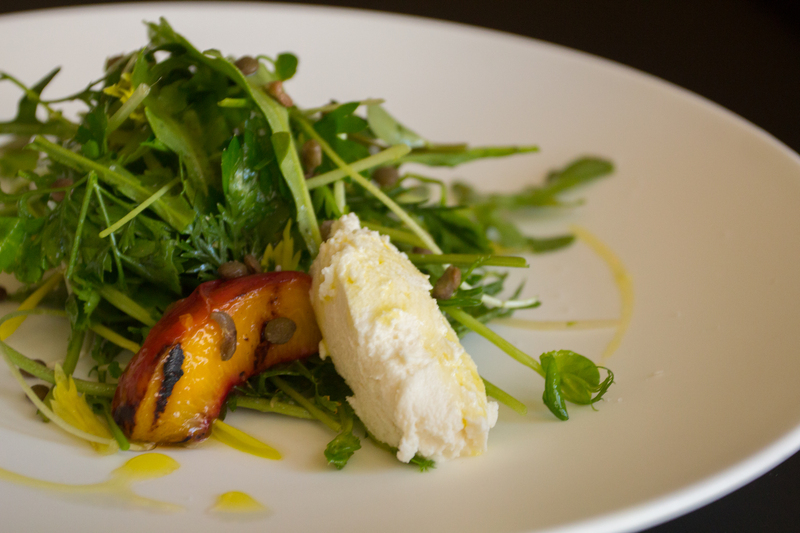 We offer only the finest in gourmet dining and guests may choose from an array of organic and heart-healthy à la carte dining options featuring locally grown fare and personalized dishes. 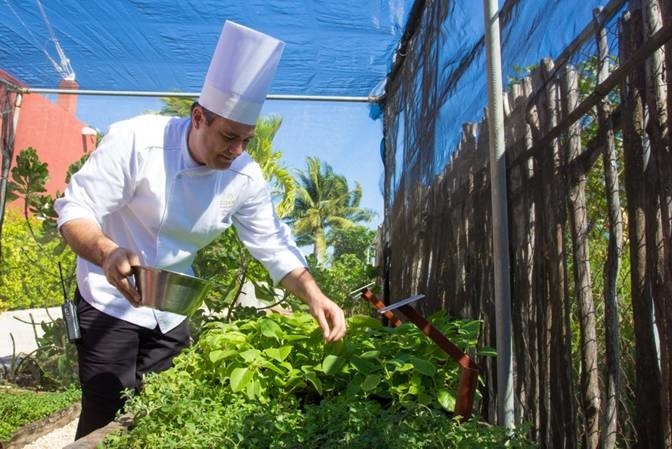 In fact, 60 percent of the lettuce and herbs used at our newly renovated four diamond-rated restaurant La Conoa came right from our very own organic farm, just steps away! 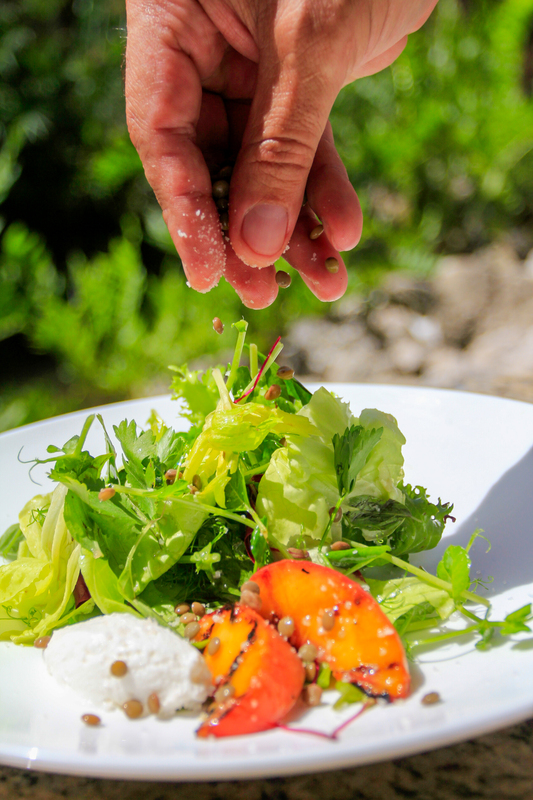 Fine dining starts with ‘fresh’ at Zoëtry Paraiso de la Bonita Riviera Maya. The greens used in this beautiful salad came straight from the organic garden on property at Zoëtry Paraiso de la Bonita Riviera Maya. Our little organic farm produces beautifully aromatic herbs such as rosemary, mint, parsley, basil and coriander, as well as vegetables including white and red radishes, cabbage, cauliflower, carrots and tomatoes. It doesn’t get much fresher than this! At La Canoa, several of these tempting ingredients are incorporated in to creative menu offerings. The farm uses a traditional planting system with hydroponics and only natural fertilizers, so you can rest assured that a meal at La Canoa is good for you in every way! 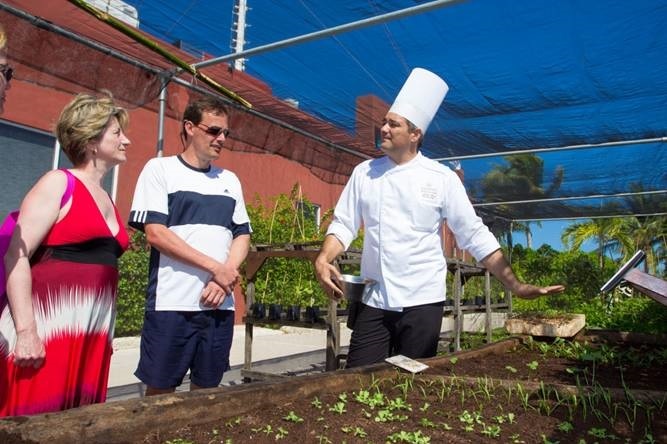 The organic garden at Zoëtry Paraiso de la Bonita Riviera Maya, where we get many of our lettuces and herbs. If food that is locally-sourced is important to you, Zoëtry Paraiso de la Bonita Riviera Maya is the perfect vacation destination. Guests take part in a cooking class at Zoëtry Paraiso de la Bonita Riviera Maya. We are also pleased to offer weekly cooking classes for our guests which begin in the garden to give them full appreciation of what goes in to their delicious meals at Zoëtry Paraiso. Guests are even able to select items from the garden to be used during the class. For guests that wish to delve even deeper in to the culinary experience at Zoëtry Paraiso, prior reservations may be made for an additional cost with the concierge to sit at our Chef’s Table, where our Executive Chef Antonio Torres prepares a special designated menu, complete with perfect wine pairings. 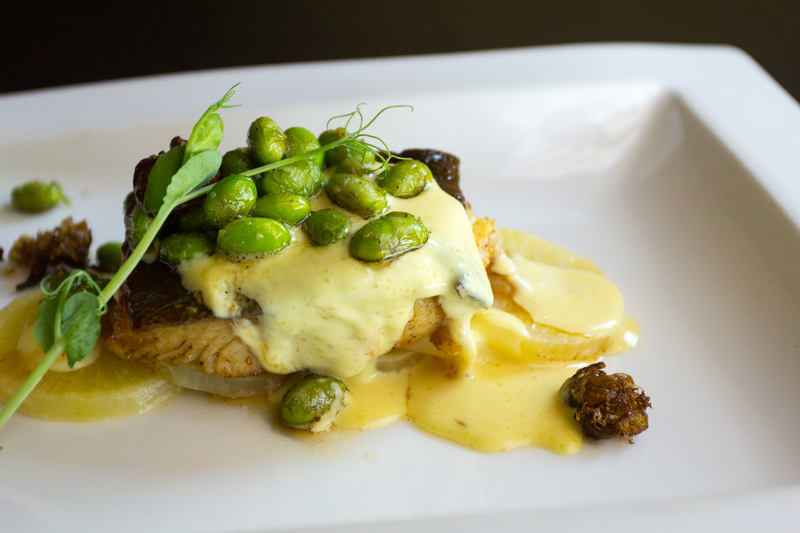 Atlantic cod, caper butter, saffron potatoes and edamame at Zoëtry Paraiso de la Bonita Riviera Maya’s La Canoa restaurant. 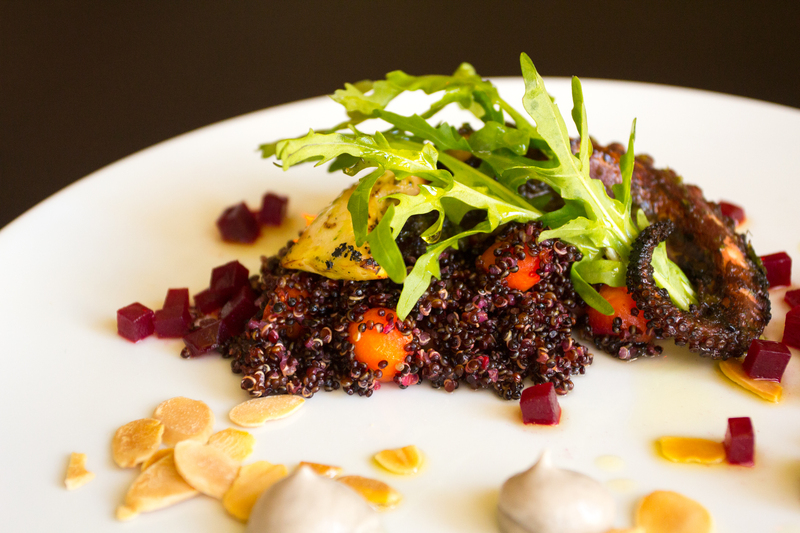 Grilled Octopus, Red Quinoa, Almond and Olive Emulsion at Zoëtry Paraiso de la Bonita Riviera Maya’s La Canoa restaurant. Come immerse yourself in the Art of Life® at Zoëtry Paraiso de la Bonita Riviera Maya. 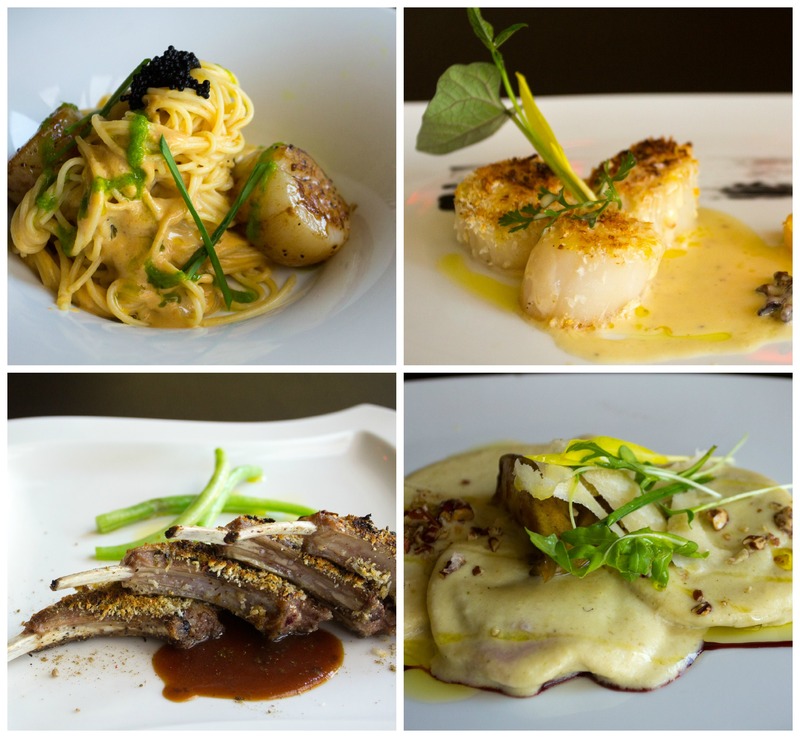 Book your stay today to experience these incredible flavors for yourself! This entry was posted in Zoëtry Paraiso de la Bonita, Zoëtry Wellness & Spa Resorts and tagged #zoetry, garden, gourmet, La Canoa, locally-sourced, organic. Bookmark the permalink.